A tranquil atmosphere, traditional Moroccan dishes, low prices and an ideal location. Restaurant Jama is a real insider tip for eating out in the southern medina of Marrakech. 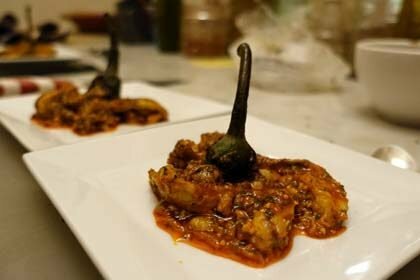 If you are going out for dinner in Marrakech with the mere goal of satisfy your hunger, you don’t have to look far. There is food offered on almost every corner, whether it’s at the food stalls at the Jamaa el Fna, the small diners in the medina, or at restaurants frequented by a large number of tourists, such as Les Nomads or Café des Épices. 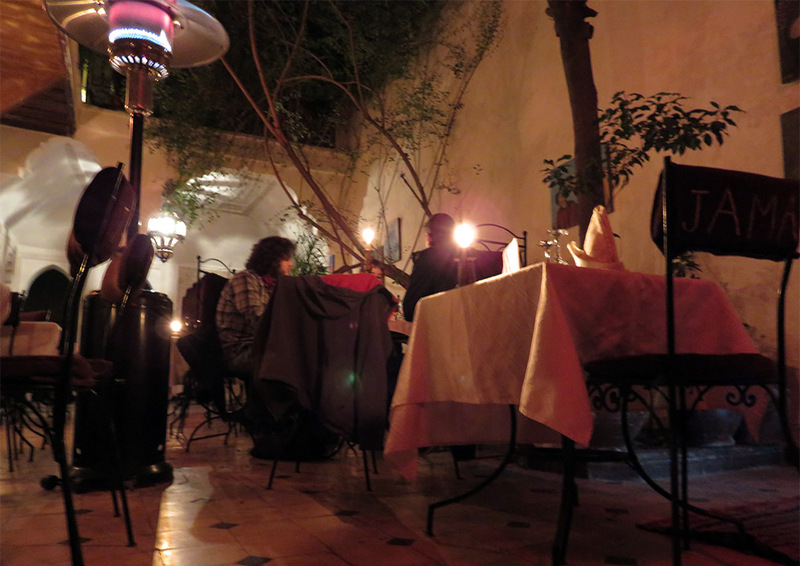 However, finding a cozy restaurant where not only excellent Moroccan food is served, but where you can also spend the whole evening in peace and quiet, requires some patience. If you do not have this kind of patience, you should try the Jama restaurant. The family-run Jama restaurant is hidden in a pretty riad in the southern medina, about a five minute walk from the large Jamaa el Fna square in Rue Riad Zitoun Jdid. 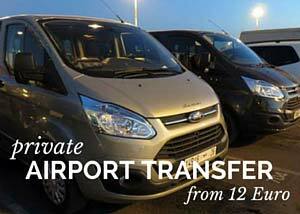 Note that the location indicated on Google Maps and TripAdvisor is not correct. 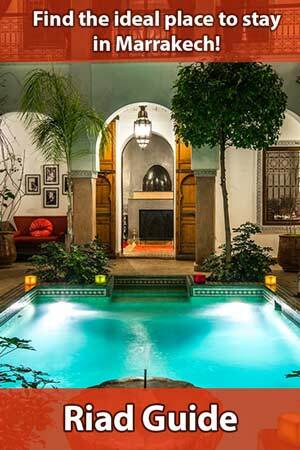 You enter the riad through a small candle-lit door and arrive at a tree-covered courtyard with several tables. The restaurant also has two separate rooms with comfortable seating. As it can be a bit cooler in the courtyard in winter, there will be gas-fueled heaters next to the tables, making it pleasantly warm for the guests. The menu of Restaurant Jama is not too overloaded — something that always speaks in favor of a restaurant, in my opinion — and includes only traditional Moroccan dishes. There are six different appetizers you can choose from. 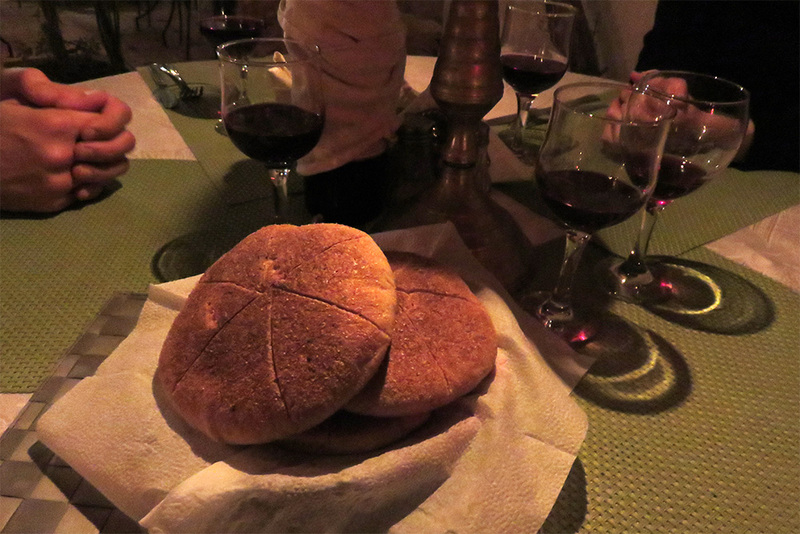 I can especially recommend the salads (tomato salad, Moroccan salad, Arabic salad) and the harira. There are Moroccan omelets and sandwiches as well. 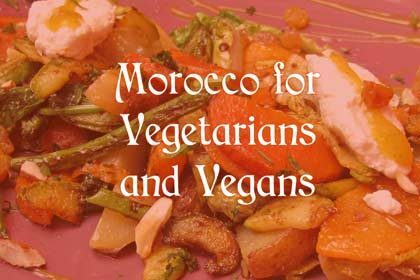 Main courses are tagine (beef and fig, lamb and plum, lamb and vegetables, vegetarian, kefta and egg, kefta and peas), Couscous Fassi (meat, raisins, candied onions, chick peas), Couscous Dokalil (meat and vegetables) Couscous Berber (vegetarian), chicken with lemon and olives (Poulet m’Charmel), as well as different meat skewers (brochettes). Seasonal fruit, orange cinnamon salad and Moroccan pastries are offered for dessert. Available drinks are juice, water, hot milk, hot chocolate, coffee and of course tea; no soft drinks, but red wine upon request — which is not something to be taken for granted in this price category, considering the high alcohol license fees. 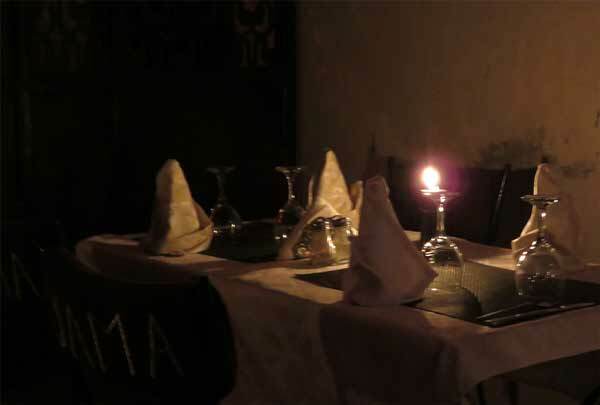 The two waiters at Restaurant Jama are caring and attentive to their guests, without being too intrusive or annoying. Instead, they are trying to create a pleasant atmosphere. There is quiet music playing and numerous candles illuminate the picturesque courtyard. 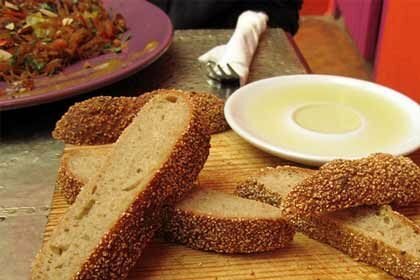 It does take a while until the main course is served, but you can easily pass the time by enjoying an appetizer and a glass of wine. 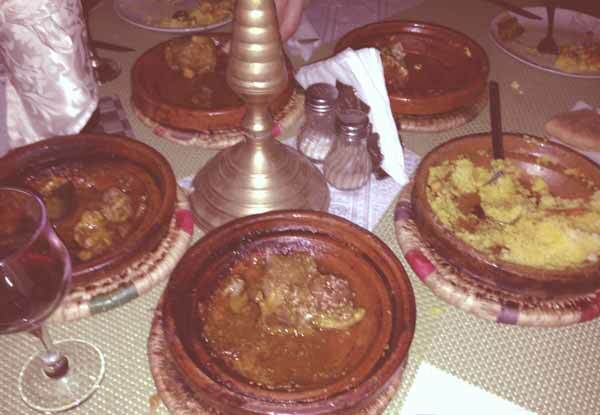 The traditional tagines and couscous dishes are superbly cooked and leave no wishes unfulfilled. I can also recommend the Restaurant Jama regarding prices. A menu with appetizer, main course, dessert and alcohol-free drinks only costs about 100 DH per person. 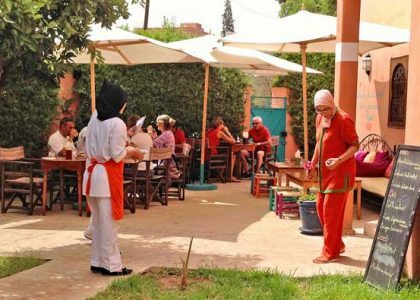 The Jama is a good address if you are looking for a restaurant in the medina of Marrakech that is not overrun by tourists and where you can enjoy traditional Moroccan cuisine without a lot of hustle and bustle. The restaurant is also accessible for wheelchair users. It may be too dark for lunch break, but in the evening hours this reclusive place develops its very own intimacy. 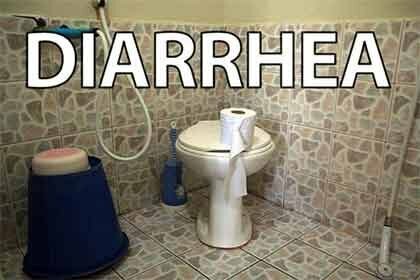 All in all, an absolute insider tip! 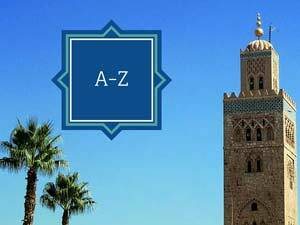 You can easily get to the Jama restaurant from the Jamaa el Fna, heading north-east via Rue des Banques, and then turning right into Rue Riad Zitoune Jdid. 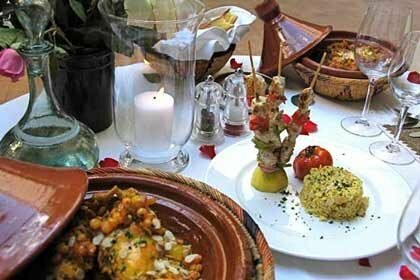 After about 250 meters you arrive at the restaurant which is located on the right side of the road, between the riad la casa and the crossroad Rue Douar Graoua.